It might seem like a waste of time to install a shelf that's barely six inches long. 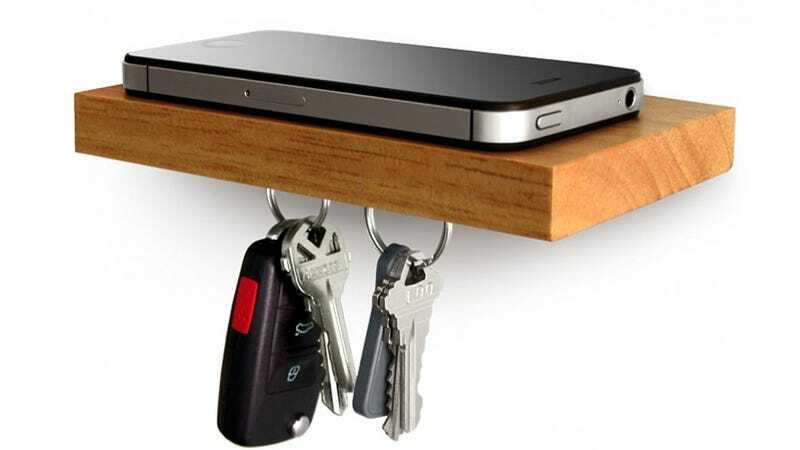 But damned if this magnetically enhanced Plank doesn't seem like the perfect place to stash your smartphone and keys when you get home every night. Since the magnets are located on the underside of the shelf they're promised not to damage your phone in any way. But keep in mind this will only hold your keys if they're magnetic. If they're not, you'll need to jam some screw hooks under there. The $30 Plank shelf also comes with a clever wall mounting system so there are no visible brackets. And cue the "I could make it myself" comments.